Man in the Iron Mask was an Australian serial based on the book by Alexandre Dumas. There is 52 episodes in the serial. This is the George Edwards Production from 1948. George Edwards (born as Harold Parks, 11 March 1886 in Kent Town, South Australia – 1953) was an Australian actor and producer. 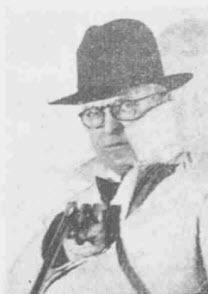 Edwards was a pioneer of the radio serial in Australia. Prior to that he was a comedian, vaudeville artist, acrobatic dancer and stage performer. It is claimed that he changed his name from Harold Parks to George Edwards at the behest of Edward Branscombe, who was putting together an up-market act and did not want anyone associated with low-brow music hall, and that he took the name from English theatrical impressario George Edwards. 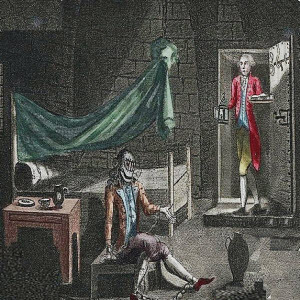 Man in the Iron Mask was the last of the Three Musketeers novels based on the true story of a mysterious prisoner held incognito in the French penal system, forced to wear a mask when seen by any but his jailer or his valet.